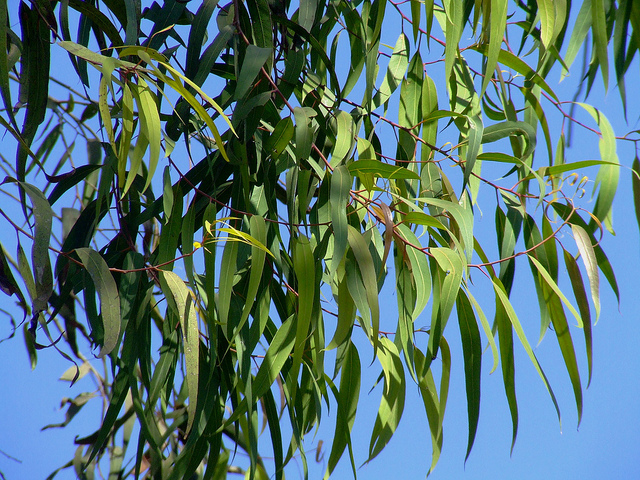 A beautiful, tall (up to 35 metres) tree which flourishes from temperate and tropical north eastern Australia. It has distinctive, often powdery white to grey coloured bark which curls and flakes off in Spring. Its green, long and slender leaves have an amazing, strong lemon fragrance when crushed. Its strong scent is a distinguishing attribute, with the essential oils produced from this variety often being used in fragrances as well as insect repellents.